The economic success of an enterprise increasingly depends on its ability to react to changes in its environment in a quick and flexible way. To cope with emerging business trends, responsiveness to change is a significant competitive advantage. Similar to the lifecycle in conventional information systems development, studies on lifecycle support for business processes are often sweeping the issues of runtime change management under the banner of maintenance. However, the pervasiveness of dynamic changes in business processes warrants targeted attention. 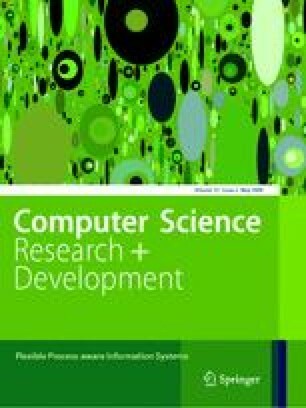 This paper presents a detailed review of challenges and techniques that exist for the lifecycle management of dynamic processes. For each of the lifecycle phases we discuss the needs and deliberate on various developments from both academia and industry.